In today’s increasingly global economy, the relationships of competition between countries and regions have changed. Therefore, regional development networks have come to assume relevance at the regional level, and through a literature review, this study aims to answer the question: What is the role of regional development networks in regions’ competitiveness? To this end, an ecosystem model is proposed for regional development networks so as to help regions in their development and competitiveness. 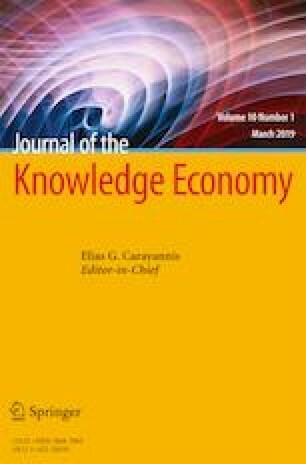 This study also identified four types of regional network: (1) smart specialisation strategies, (2) regional innovation strategy, (3) regional development and entrepreneurship networks, and (4) ecosystems of entrepreneurship and innovation. The model proposed contributes to advancements in this area of research, since only the “helices” model of regional development network was found. The newly developed ecosystem model has not been empirically validated. In terms of guidelines for future research, this topic should be addressed by collecting information to expand the model presented here, as well as testing it in regions and subsequently between regions. The authors thank the anonymous reviewers for their very helpful comments that contributed to the development of this paper. The authors gratefully acknowledge financial support from FCT and FEDER/COMPETE through grant PEst-C/EGE/UI4007/2013. Westley, F. R., Tjornbo, O., Schultz, L., Olsson, P., Folke, C., Crona, B., & Bodin, O. (2013). A theory of transformative agency in linked social-ecological systems. Ecology and Society, 18(3). doi: 10.5751/ES-05072-180327.